​Acción Latina’s new exhibition--¡Cuba Libre! 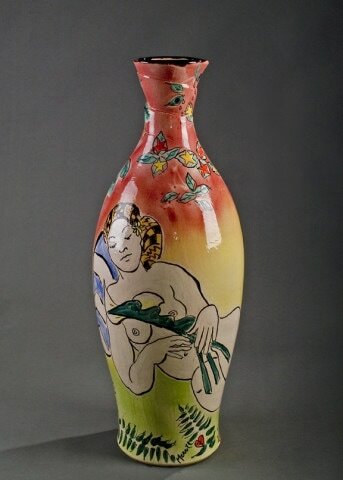 – An Exhibition of Cuban and American Ceramics, Prints & Photographs—will feature the work of eight of Cuba’s most renowned artists including: Alberto Lescay, Antonio Lewis, Israel Tamayo, Jose Luis Berenguer, Jose Vasquez Xene, Nelson Dominguez, Xiomara Gutierrez and Raul Miranda, as well as work by artists Catherine Merrill, Ana Maria Cardenas, Gary Erickson, Joel Bennett and Juan Pablo Cardenas. 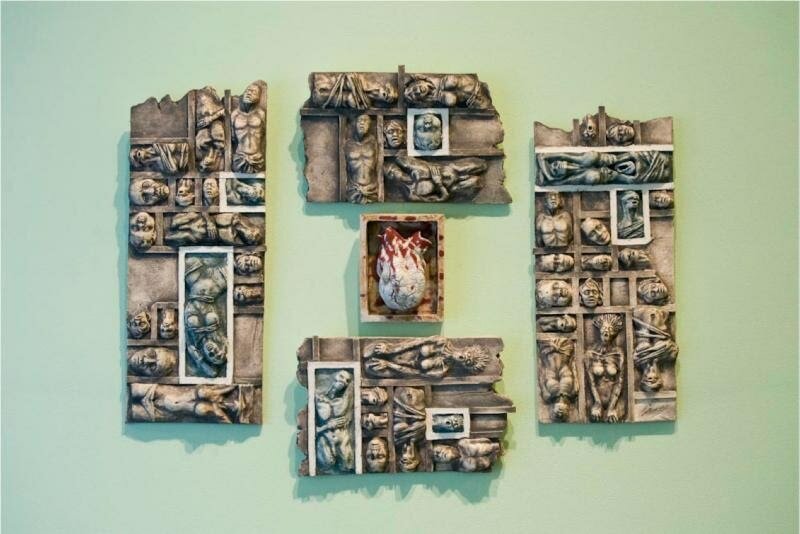 The show, which debuts Jan. 16 at the Juan R. Fuentes Gallery, will be curated by “the foremost U.S. authority on contemporary Cuban ceramics,” artist Catherine Merrill. El Tecolote sat down with Merrill to discuss the details. ​How many art pieces will be in the exhibition? I have 25 pieces of Cuban art in the show. There are eight Cuban artists, and I wanted each person to be able to show at least a couple of pieces. You get a much better sense of a person if you can see two pieces. The only one I don’t have two pieces of is Xene, but it’s a multi-piece wall ceramic. Can you talk about some of the pieces? I have two Alberto Lescay prints of the same size, one is called “Viaje luz,” (Voyage of light)…and in that one there’s a sense of hope. The “Cimarrón” (runaway Cuban slaves) was done in 2005. That was a year when things got way, way, worse with the Bush administration. Lescay said, “We are all Cimarrónes, who are still trying to fight for our freedom.” Another is a print by Nelson Dominguez called “Mujer con abanico.” And I have two large prints by Israel Tamayo, one of them called “Travesuras.” And the wall piece by Jose Vasquez Xene is called “Las Mujeres.” It’s an amazing piece; he created it in Canada after bringing all of these little molds from Cuba. There are four panels and a center panel is a bleeding heart, and it’s dedicated to the victims of 9-11. Andthe last piece of Cuban art that I think is so important is by Xiomara Gutierrez. Her piece is “Reflejo de la naturaleza.” A theme in her art is ecology, and how man has a negative effect on our environment. ​Will the displayed pieces be up for sale? Most of them [will]. Some of the pieces have been given to me as gifts, and I just wouldn’t feel the same without them. But the majority I’ve also been given on consignment by the artists to exhibit. How did you come to be the curator of Cuba Libre? In 2009, it was the pinnacle of my career with Cuba, with three very important shows in the Boston area: Fuller Craft, MassART and the Laconia Gallery. Earlier this year, I went back east to a family reunion, and my sister arranged a meeting with the current director of the Fuller Craft Museum, Jonathan Fairbanks. A month later in July we started getting these exciting notices about Obama opening diplomatic relations. So I thought this is the time to have another Cuba show in San Francisco—my last and only “Beyond the Embargo” show in San Francisco was in 2006. ​From 2002-2009, you’ve traveled extensively to and from Cuba. When did you first visit the island? I’m somebody that came of age during the ‘60s. It was a climate where art and politics were totally mixed up. Andfriends of mine from Harvard were organizing what turned out to be the second trip to Cuba in 1965 to protest the travel ban.And I thought, “Well that sounds exciting. I guess I’ll go along.” And it was life changing. It was one of those experiences where you step from one world into another. It was very Soviet dominated … but there was this total freedom. There was this discovery and freedom and art was so wrapped up to it. The Cubans have always been so experimental in the arts, so free, so bold, and of such high quality. Given all of these hardships, they’re the best at everything. The quality of art was so impressive. How is the show being received by the Cuban artists? 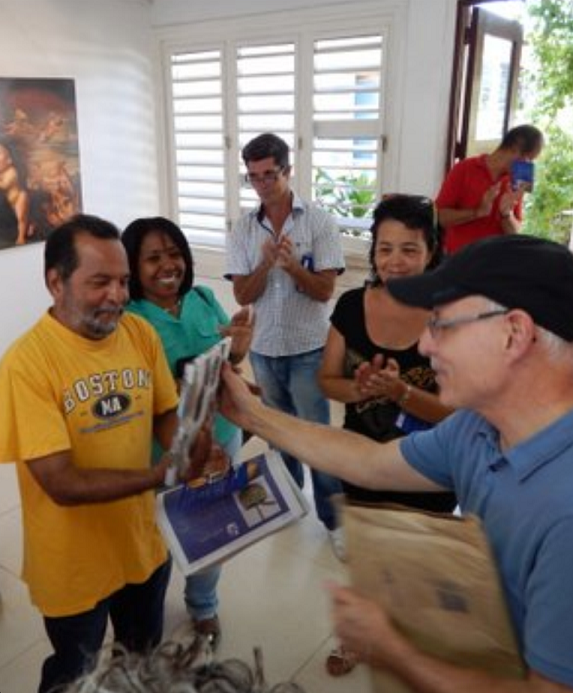 Presentation of Gifts by Gino Mazzatti at the Taller Cultural in Santiago de Cuba, March 2016 CUBA LIBRE! Exhibiting Artists in Photo: Israel Tamayo (L) and Xiomara Gutierrez (R). Click here to see the full article on El Tecolote's wesbsite.